When a grand jury failed to indict the police officer involved in the death of Staten Island resident Eric Garner, many Republicans refused to acknowledge that the outcome was symptomatic of societal ills. 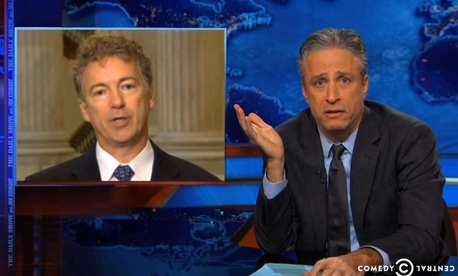 But before his probable 2016 presidential run, Sen. Rand Paul wants America to know that he recognizes the injustice. Plus: New York City protesters nearly disrupted the annual Christmas-tree lighting at Rockefeller Center, an NBC News medical correspondent returns to work after an Ebola scare, and China's economy officially surpasses that of the United States.